“DUBLIN, July 17 /PRNewswire/ — Team Full Tilt’s Phil Ivey has made the final table of the most prestigious live poker tournament in the world, the World Series of Poker (WSOP) Main Event. “Battling through eight days of play and a field of 6,494 players, Ivey earned a spot at his first-ever Main Event final table and a shot at the US$8.55 million top prize. “The Full Tilt Online Poker Series (FTOPS) returns for its thirteenth running beginning on Wednesday, August 5th, and offers players the chance to earn their share of more than US$16 million in guaranteed prize money. Today’s question: If you could enact one change to the 2009 WSOP – what would it be? 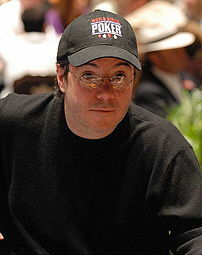 Today’s question: What group within the poker world do you believe to be most affected by the global financial crisis? Description: Come and experience the 2005 World Series of Poker Dealer Olympics. Part 5 Want to see more cool videos? From PokerNews: NBC’s "Poker After Dark" Set for New Year’s Debut. Shana Hiatt to Host. NBC’s “Poker After Dark” Set for New Year’s Debut. Shana Hiatt to Host. Author rjbaileyPosted on October 16, 2006 Categories GamingTags NBC, news, Poker, PokerNews, TelevisionLeave a comment on From PokerNews: NBC’s "Poker After Dark" Set for New Year’s Debut. Shana Hiatt to Host.